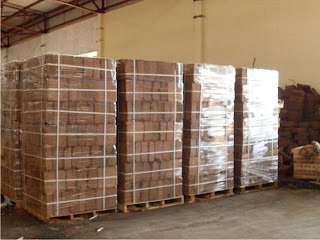 Cocopeat also known as 'coir fibre pith"' or 'coir dust' is a natural, and renewable resource produced from coconut husks by the coconut industries in Indonesia. 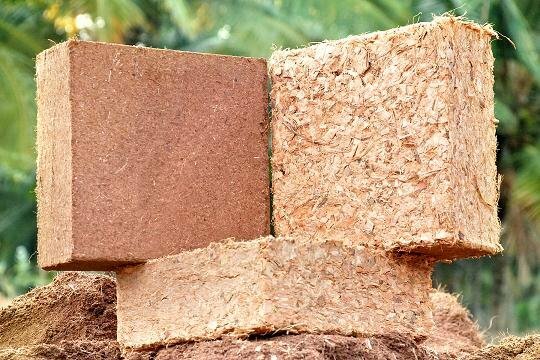 Cocopeat is the 'coir fibre pith' or 'coir dust' produced as a bi-product when coconut husks are processed for the extraction of the long fibres from the husk. Cocopeat is the binding material that comes from the fibre fraction of the coconut husk. Cocopeat is used for a wide range of hydroponic crop production throughout the world including: tomato, cucumber, egg plant, capsicum, zucchini, strawberry, melons, carnation, rose, gerbera, gypsophila, lisianthus, chrysanthemum etc. Cocopeat serve as an organic alternative to Rockwool and Perlite media without the environmental disposal issues. Hydroponic crop production using Cocopeat offers the opportunity to consistently maximise yield and quality with minimal environmental impact associated with utilisation of this renewable resource. The presence of organic compounds in Cocopeat can stimulate root growth and offer some natural resistance to plant disease. Provided careful hygiene and crop management is practiced, Cocopeat can be used for successive production cycles with short term crops, and can produce crops like roses for up to five years. Cocopeat can be used for a wide range of hydroponic crop production including: tomato, cucumber, egg plant, capsicum, zucchini, strawberry, melons, carnation, rose, gerbera, gypsophila, lisianthus, chrysanthemum etc. 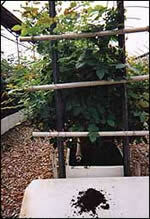 Growing hydroponically with Cocopeat can be done in specialised containers, pots, or styrene boxes. 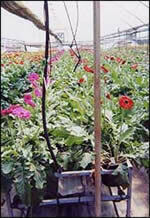 Using re-hydrated Bales or Blocks is most suitable for these systems. Cocopeat Grow Bags and the EASYFIL Hydroponic Container System , is the most economical and widely used method for growing hydroponic crops.